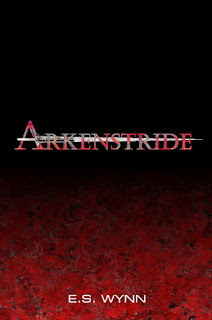 ARKENSTRIDE is an episodic saga set in a dark and mysterious fantasy world rich with strange magics and exotic places. Created by author E.S. Wynn, Arkenstride is the latest work by the same voice behind Thunderune Publishing’s most popular epic, The Cygnus War. Armed with the legacy of the Arkenstride family, a blade gathered and formed from the user’s own spiritual energies, Tanelsa Arkenstride is far from the southern lands and the desert empire of her birth. Lost in the snowy, northern hill-country of Brialda, Tanelsa battles the powerful seer Felgath, a dark and shadowy form that holds her sister captive and hunts the young Tanelsa with an army of twisted and horrific creatures unlike anything seen in the Eight Lands before.